Whether you need it to soothe your nerves, warm up, or just relax with a cuppa - tea is a must-have in the pantry. Some people go for the bags, and others for loose tea. Where do you go to buy the best quality loose tea in Sydney? 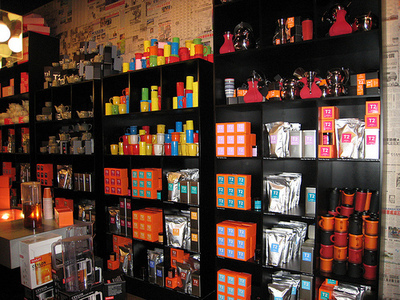 T2 Tea in Broadway Shopping Centre has a huge range of loose tea, tea-ware and they even offer samples. My personal favourites are rose and lemongrass! As everyone else has said, you can't go past T2. They have such a large range and you can try all the flavours before you buy them. Markets are also a place to pick up cheap loose leaf tea. I agree with Kat on T2. Lovely. I've been to the T2 stores at Paddington, Newtown, the QVB and have brought some lovely Detox T2 tea inside David Jones Food Halls in the city. The latter is good as I earn extra points on my David Jones American Express card. Ah yes, and now I remember going to the store at Westfield Bondi Junction too. Gotta love the abundance of samples, hot and cold. Agree, any of the T2 stores are great. (Would gladly recommend the strawberries and cream, and their Christmas blend.) One has recently opened in Mosman, walking distance from where I live. I have a feeling I will have av over abundance of loose leaf tea soon! Most people will tell you to go to T2, but that is the obvious choice. Have you ever visited the Tea Centre in the Glasshouse (just off the Pitt St Mall)? This place has a lovely old world feel about it, as if you are visiting one of Sydney's quaint colonial tea rooms in the 19th century. The beautiful china, the range of teas, and it has a slightly less manufactured feel than other tea shops. The T2 store in Macquarie shopping centre is really big and has a massive range of different teas, and a station where you can try any tea for yourself.